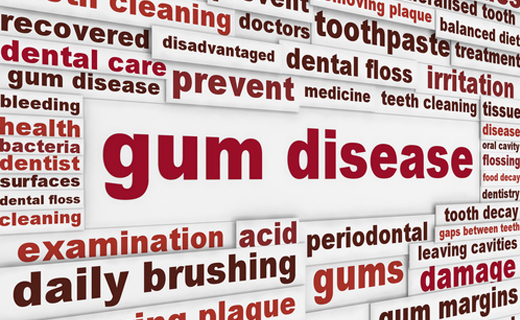 Periodontal diseases are infections that affect the tissues and bone that support teeth. As the tissues are damaged, the sulcus develops into a pocket that is greater than tree millimeters. Generally, the more severe the disease, the greater the pocket depth and bone loss. The enlarged pockets allow harmful bacteria to grow and make it difficult to practice effective oral hygiene. Left untreated, periodontal diseases may eventually lead to tooth loss. It’s possible to have periodontal disease without apparent symptoms. That’s why regular dental check-ups and periodontal examinations are very important. Gingivitis – is the mildest form of periodontal disease. It causes the gums to become red, swollen, and bleed easily. There is usually little or no discomfort at this stage. Gingivitis is reversible with professional treatment and good oral care at home. Chronic Periodontitis – is a form of periodontal disease that results in inflammation within the supporting tissues of the teeth. Patients experience progressive loss of tissue attachment and bone. Chronic periodontitis is characterized by pocket formation and/or recession of gum tissue, and is the most frequently occurring form of periodontitis. It is prevalent in adults, but can occur at any age. Progression of attachment loss usually occurs slowly, but periods of rapid progression can occur. For those who are suffering from gingivitis or a more advanced form of gum disease, there are a wealth of treatment options available in Waldorf. To start, dentists suggest completely revamping a patient’s oral care regimen to include daily flossing, brushing at least twice a day and doing what’s necessary to foster the long-term health of the mouth. Additionally, treatment options vary depending on the scope of the disease. 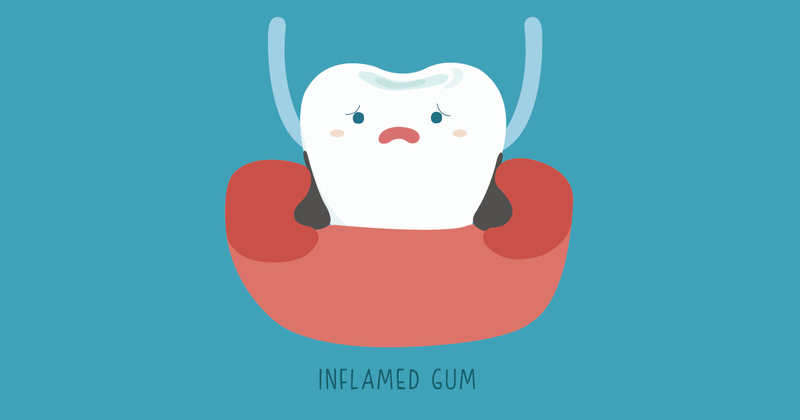 For instance, for those individuals who report minimal swelling, nonsurgical therapies that control bacterial growth are usually sufficient to restore the supportive tissues and promote the reattachment of gums to teeth. Conversely, for those who exhibit advanced swelling or bleeding, oral surgery may be required to repair the underlying tissues. A treatment called scaling and root planing is usually the first step, which involves a deep cleaning to remove all traces of tartar, as well as targeting exposed tooth roots where bacteria accumulates. Antibiotics and topical gels can also be used to treat these issues, but ultimately, unless a patient has an advanced form of the disease, gingivitis can be treated quite easily with a vast improvement in a person’s overall oral care regimen, frequent trips to the dentist for consultations and eliminating risk factors like sugary foods and tobacco products. As long as the ailment is caught early, our dentists in Waldorf have myriad treatment options available to stop gum disease in its tracks. Many parents are only concerned about cavities in their kids, but kids are also at risk for developing gum disease. Learn what you can do to protect your child’s dental health. Friendly, great work and ensured my comfort the entire visit. effective care, skilled staffL polite and professional! I’ve had excellent treatment for over 30 years with this group.